In part one of this series, we took a look at the value and importance of examining this Old Testament structure of the wilderness tabernacle as it pertains to our New Testament life. It was discussed how Jesus is central to every detail and lesson that we will learn from it. In part two we discovered how the wilderness tabernacle reveals to us a larger spiritual temple concept that has been the blueprint of worship from eternity and from a creation perspective the material world/universe exhibit began in Genesis chapter one. It was studied how Adam was the first vice regent king and the high priest over the territory of Eden on earth in fellowship and under the Lordship of God the creator of all. In Part four we started at the very beginning of the instructions for the construction of the "Wilderness Tabernacle" and it all began with giving. In Part five we learned that giving is not random. God asks specifically for certain items and lying resident within the symbols of each is a rich lesson concerning God's lavish provision. The three requested metals of gold, silver, and copper and their meanings were discussed. The sixth portion of this series concerned three colors of thread and the linen fabric. Much like the metals, the colors and fabric had much to say as it concerned the details of salvation and richly displayed the Son of God (blue) who became the Son of Man (scarlet), which in combination made Him the King of Kings and Lord of Lords (purple) over all of heaven and earth. The seventh part of this series we studied the four layers that covered the Tabernacle that consisted of the linen, goat hair, ram's skins dyed red, and porpoise skins. Each layer had something to say about how Christ covered our sin as well as gave us a few glimpses and connections with the creation narrative. This is part eight of the Tabernacle series that will examine the final four requested items on God's list for building this structure beginning with the Shittim wood. Trees or wood in Scripture are symbolic of human life and, in the case of the Tabernacle, will represent the humanity of Christ. According to Glen Carpenter, in his book "Connections", the Shittim tree, sometimes called the Acacia, is a desert tree that has the ability to survive in the most barren and difficult conditions. Shittim wood is resistant to decay and insect infestations which speaks of the incorruptible Christ who became a man. Yet, when He died His body did not see corruption and was resurrected. In The book of Acts, Paul combines the Old Testament revelation of this with the New Testament fulfillment as it applied to Christ. Death was traded for life at a live tree. The transaction for the payment of our sin was executed on a dead "tree". The erected boards of the Tabernacle in sockets of silver (redemption by blood) illustrate for us a type of resurrection or raised life from the dead. A death and a resurrection of a perfect human life is the framework of this structure as well as the only qualification whereby we can be forgiven and resurrected to an eternal life and habitation with God. There was no other type of wood used in the construction, furnishings, or utensils of the Tabernacle. The boards, poles, and furnishings that were made from this wood were also plated with gold. The gold, as was observed in an earlier study, represents God and His glory. In combination, we can see how Christ was both God and man. Our life application in accordance with this revelation is provided in Paul's first letter to Timothy. 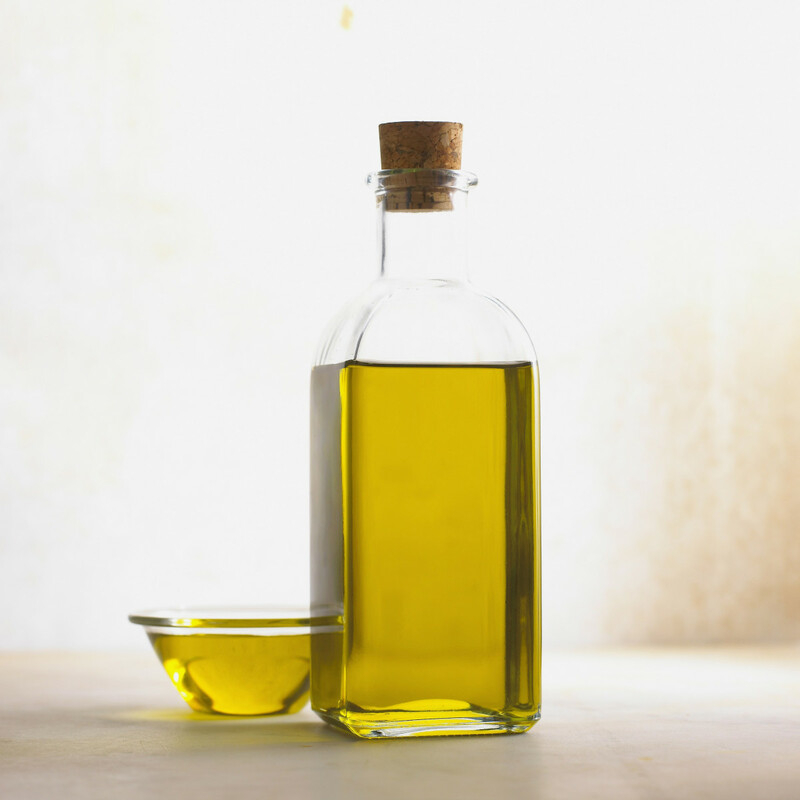 The oil was used for two purposes in the Tabernacle service administrations. the second mentioned is for anointing both the Tabernacle and the priesthood who would serve in the Tabernacle. Oil, when seen in Scripture, is symbolic of the Holy Spirit. It is the Holy Spirit who enlightens, anoints, and appoints. 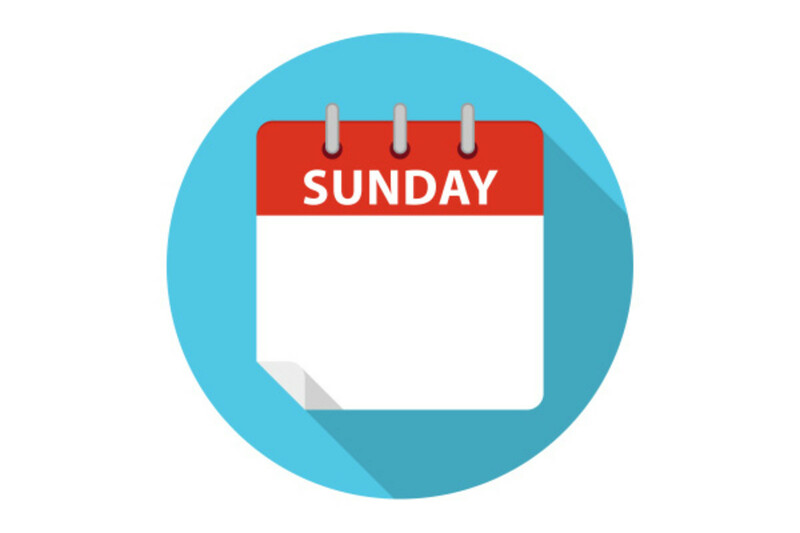 Paul's letter to the Ephesians connects us with the believer's application for these same purposes of light and appointment by the Holy Spirit. The Spices were used in two preparations involving Tabernacle protocols. The anointing oil, which was discussed above, was spiced with four fragrant spices. And the incense that was burned upon the Golden Altar also was composed of four different aromatic ingredients. Both prescriptions were exclusive for Tabernacle worship and service applications. They were not to be used for anything else. These aromatic blends were perfect recipes that were designed for the express purpose of engaging in a pure, true, unadulterated, intimate worship experience with a Holy God based upon the remembrance of and deep gratitude for God's love expressed through the sufferings of Christ on our behalf that our joy may be full. The aromas were also for the purpose of recall and reward. Unlike our other senses that are first processed in the Cerebral cortex of our brains, our sense of smell is directly connected to the region of our brains that is associated with our most base needs, desires and emotional experiences. Emotional memory and reward are at the center of this particular region. It is here that pain and pleasure, fear and tranquility are experienced. It is the same place where addictions are cycled. Can we see where God is going with this? This space was designed for God alone and only functions properly in accordance with His prescription. When we mix our own private lusts, desires, and fleshly wants we connect ourselves with unholy things that are not God creating cycles of addiction to them. And Nadab and Abihu, the sons of Aaron, took either of them his censer, and put fire therein, and put incense thereon, and offered strange (foreign ingredients connected with the concept of adultery) fire before the Lord, which he commanded them not. The translated "strange" above literally means to turn aside and depart. It is also used in terms of worshiping other or "strange" gods. In light of this, we can see why keeping the perfect preparation was such an important requirement. The prescription for the oil consisted of four spices. In the following sections, we will take a look at each one of these named spices and their spiritual applications. The first spice noted in the Biblical text is myrrh. A little etymology before we continue, the word "myrrh" in Hebrew means "bitter". This particular spice will be noted in association with the bitterness of Christ's sufferings. 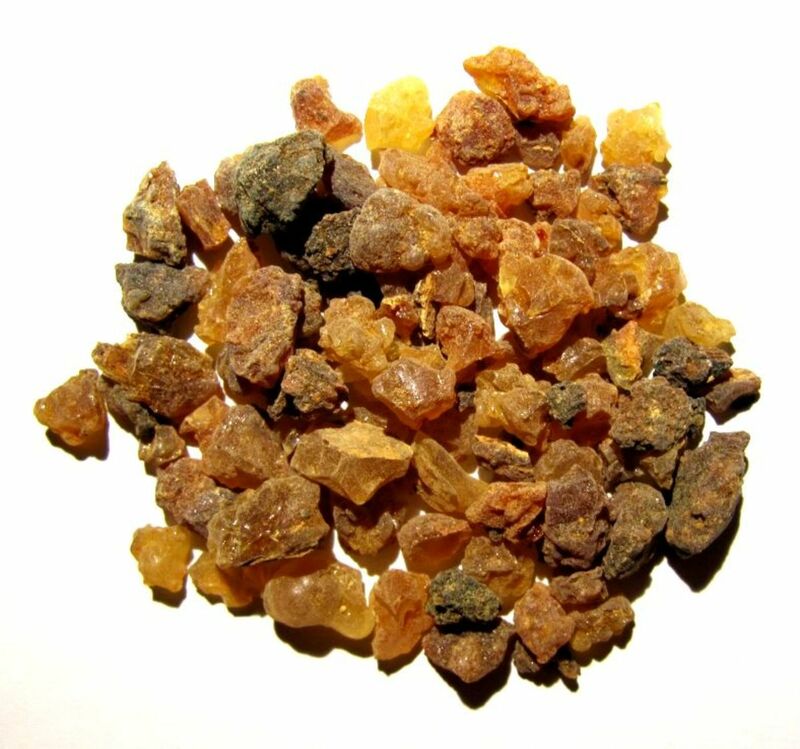 Myrrh is made from a resin that is extracted from a thorny Commiphora tree. The tree bleeds when the bark of the tree is pierced or cut. 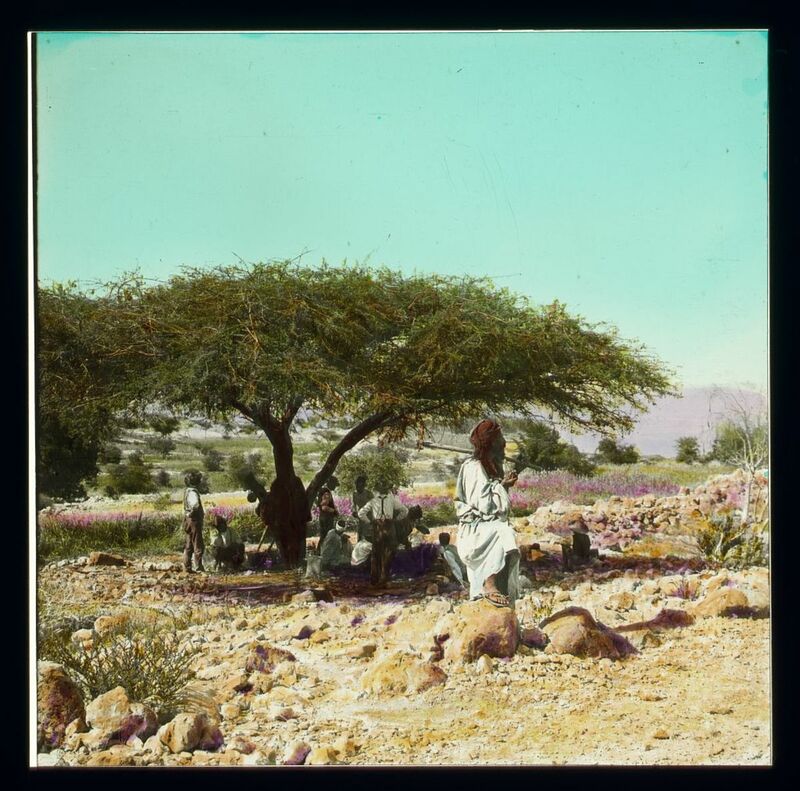 Myrrh harvesters wound the tree in order to induce the flow of the resin. The Hebrew word translated "pure" in the description of myrrh in Exodus 30:23 actually means free-flowing. This speaks of the free-flowing blood of Christ that flowed from His nail-pierced hands and feet. 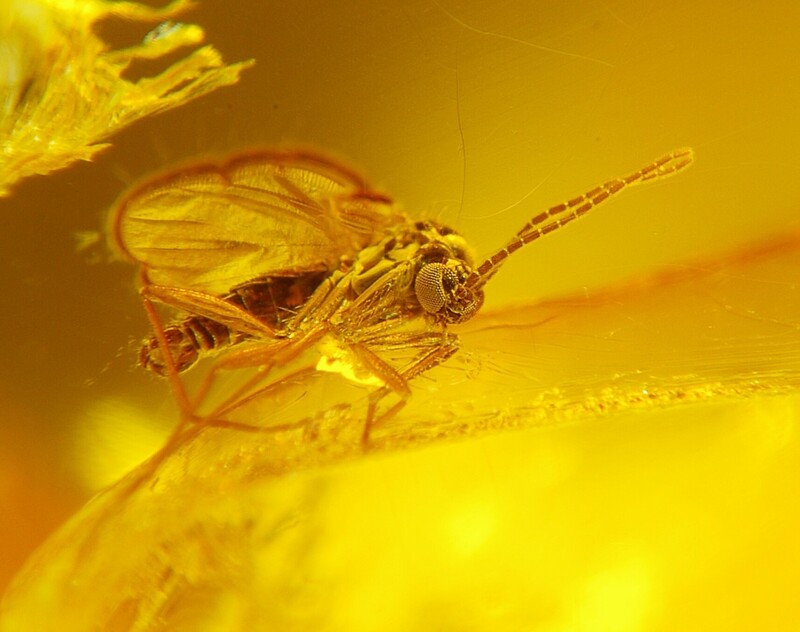 There is another interesting association with Myrrh in terms of its Old Testament uses that is quite opposite of bitterness. 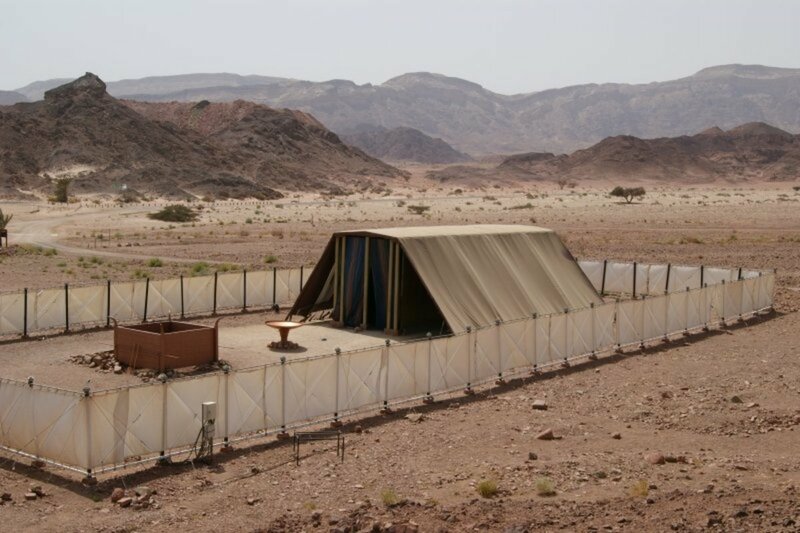 Myrrh's first mention is in Exodus chapter thirty concerning the tabernacle services. The tabernacle protocols were all arranged in order for man to be able to have a relationship with God. Relatedly, Most of all the other Old Testament uses connect this spice with pleasant smelling perfume used for the purpose of attracting another and connect us with the idea of intimacy. Three of them are used in relation to a king. 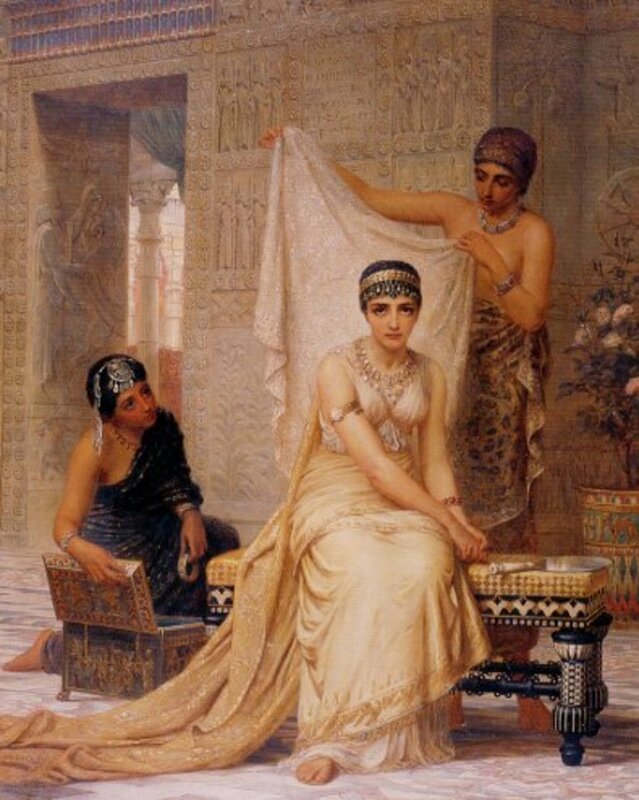 Esther bathes for six months in oil of myrrh in preparation for being in the presence of the king. Psalm forty-five describes a Messiah-type King whose garments smell of myrrh which is followed by a discourse about his female companions. The immoral woman in the book of Proverbs perfumes her bed with myrrh as an enticement to her lovers. 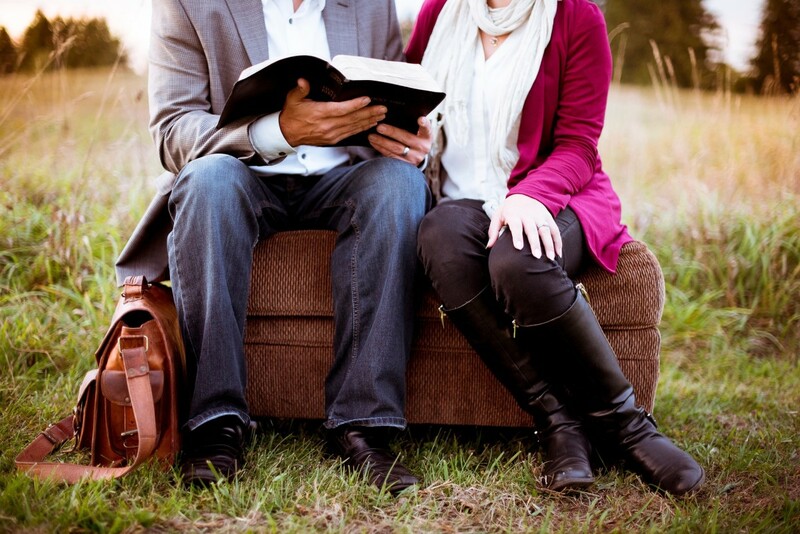 The remaining seven mentions are used in the most intimate book of the Bible—the book of Song of Solomon as used in reference to both the Shulamite as well as her Beloved. In terms of the Messiah-King/suffering aspect, there are three New Testament mentions of myrrh that are in agreement with the Old. One of them is used to introduce Jesus as the Messiah-King In Matthew and is recorded to be one of the three gifts brought by the wise men of the east in an acknowledgment of His Lordship. The other two cases concern Christ's suffering in association with His title of "King of the Jews". (Mark 15:23) and in His death. (John 19:39). These two themes are exhibited in the biological tree source characteristics as well as the process by which it is harvested. Recall that the tree was thorny, and the suffering Christ wore a thorny crown when He was hung on the tree. The crown of thorns appears in three of the Gospels, (Matthew Mark and John) and each includes a bitter mocking of His Lordship as a King. 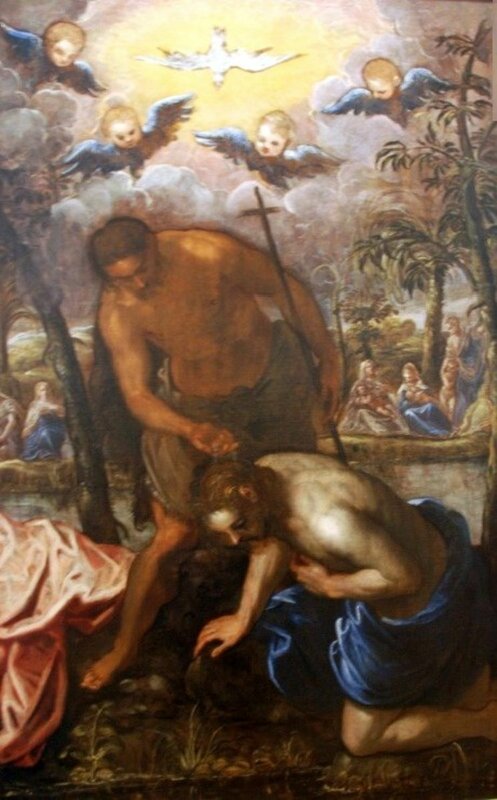 This event took place shortly before His hands and feet were pierced with nails to a cross and His spear wounded side. In combination, the King in Psalm 45, King Solomon, and the gift of the wise men bestowed upon the royal Christ child, present a type and shadow of Jesus the King of Kings and Lover of our souls. The appearance of myrrh at the cross and Christ's burial symbolized the sweet-smelling sacrifice that exhibited such a great love that was bestowed in the bitterness of His suffering and death. The dual meaning of bitterness and intimacy can also be understood in the context of how what Christ has done is perceived and received. This aroma is transferred to those who understand, believe, and thereby appreciate such a great salvation. It is a pleasant fragrance that draws them near into intimate fellowship with Him. But it is a bitter stench to those who don't want to know. Now thanks be to God who always leads us in triumph in Christ, and through us diffuses the fragrance of His knowledge in every place. For we are to God the fragrance of Christ among those who are being saved and among those who are perishing. To the one we are the aroma of death leading to death, and to the other the aroma of life leading to life. The tree from which Myrrh resin is extracted is a knotted unattractive tree. The prophet Isaiah makes this connection with the bitter source of our sweet salvation in His foretelling of the events of the suffering Messiah. Myrrh, therefore, spoke of the bitter price that was paid to cleanse us from our sin that way may be near and intimate with God. The Myrrh sets the stage for how we will read the other ingredients that all contain very similar themes of Christ's sufferings that God may dwell with us. 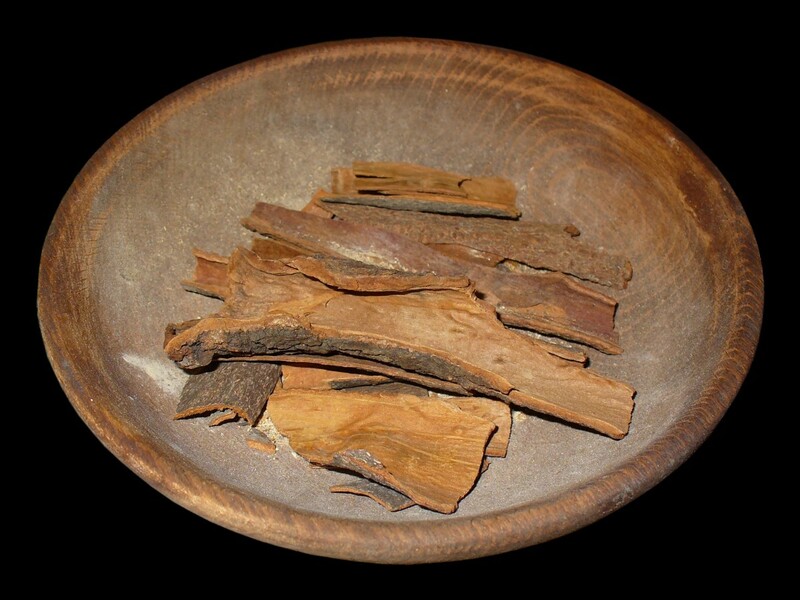 This fragrant spice is familiar to most of us and is made from the rolled internal bark from an evergreen cinnamon tree which perhaps considers the everlasting eternal purpose of His sufferings and ours. 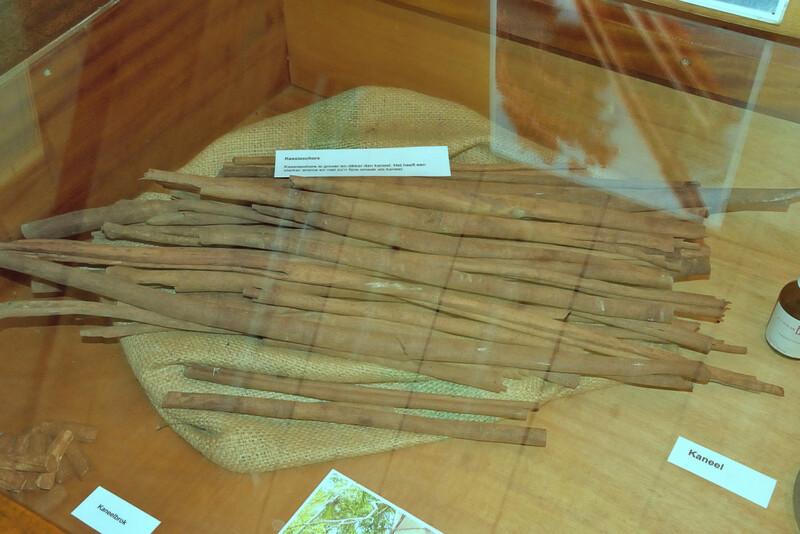 Cinnamon is also associated with suffering as it concerned how it was processed. The branch is first stripped of its outer bark. Then the soldiers of the governor took Jesus into the Praetorium and gathered the whole garrison around Him. And they stripped Him and put a scarlet robe on Him. The outer bark is then discarded speaking of the old sin nature that must be put off and done away with illustrating the personal application of this process. ...our old man was crucified with Him, that the body of sin might be done away with, that we should no longer be slaves of sin. Next, it must be beaten in order to separate the inner bark from the stem. Cinnamon like the myrrh is also used in connection with intimacy in both Proverbs and Song of Solomon. The next ingredient for the anointing oil is Calamus otherwise known as "Sweet Flag". 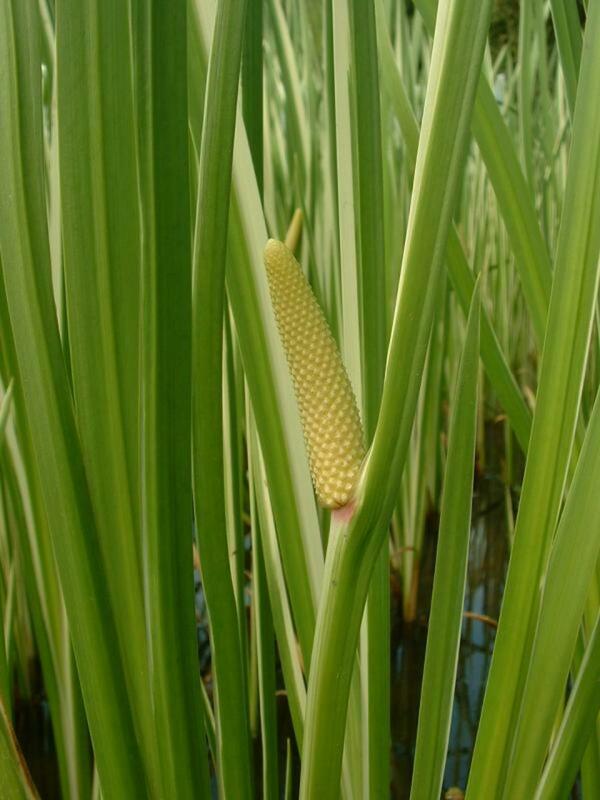 It is a reed that grows in muddy marshes much like cattails do and contained both fragrant and medicinal properties. In Hebrew, this word is the same word translated "branch" in the description of the branches of the Menorah as well as the measuring reed used in Ezekiel's Temple. The uprightness and straightness of this plant, in connection with its reliability for use as a measuring rod, hint also at the uprightness, straightness, and righteousness of Christ. A brief mention, as with the other two spices, is given in the Song of Solomon. Once again, making the connection with intimacy. The Psalmist offers a sweet smelling offering of prayer and praise in relation to this memorable quality. Cassia is a different variety of cinnamon that receives only two mentions in the Bible. The same principles of processing that paralleled the sufferings of Christ in the cinnamon subsequently apply to this ingredient also. The Hebrew word for Cassia is rooted in a word that means to "bow the head to the ground" or to "bend the body in deference". Its first occurrence shows up in the account of Abraham's servant finding a wife for Isaac. It is most generally used in the context of a response of extreme gratitude for a deliverance or answered prayer. This is related to how Christ humbled Himself by becoming one of us in order to procure our salvation. Incense illustrates both prayer, and worship expressed in love for others, that goes up to God. Both Christ's fulfillment and our application are given in Paul's letter to the Ephesians. As it concerns memory, as was discussed earlier, incense was also was used in association with the acknowledgment, honor, and remembrance of God's name. The pleasant aroma of the incense was intended to connect God's people with the pleasantness of His name. Each of the spices is intended to provoke an association with the fragrant aroma of what great things God has done for us that He might dwell with us and in us. Lastly, incense rising is also an image of Christ's ascension. The resurrection as was seen in the Shittim wood boards was about Christ rising from the grave. The ascension was about Christ ascending up into heaven. The book of Revelation reveals how this translates to believers in the culmination of all things. The list of spices for the incense ingredients is given without specific amounts, unlike the oil spices. The Hebrew word used for this ingredient means to fall in drops. It is not clear what particular substance this was. Some commentaries suggest that it is a product of myrrh which was also used in the anointing oil. Its root word is interestingly connected with themes of words dropping out of the mouth such as Job testifies. In terms of words, prophecy is also associated with this word. It is connected with Intimacy once again in the book of Song of Solomon and interestingly associated with the dripping of myrrh. We can connect this words meaning to drip or drop down with a bitter New Testament event in the Garden of Gethsemane that fits perfectly with the purposes of incense, that being prayer. The writer of Hebrews gives us the application in terms of how we ought to respond to such a great salvation that included such suffering. Distillation is also a definition given for this incense ingredient and alludes to the idea of purification. When a substance is distilled it is heated into a vapor that leaves behind the solids and impurities. The purified vapor is then cooled which turns it back into liquid drops that are free from pollutants. Old Testament purification rituals always involved a separation. The fulfillment in Christ, as well as our application, is found in a short verse from John's first epistle. Onycha is thought to be derived from the door membrane of a Red Sea mollusk. These are still used in incense making today in the Eastern part of the world. Like the dolphin skin covering of the Tabernacle, this particular ingredient is the only one that is derived from the sea. All of the other oil and incense ingredients are plant derivatives much like all the other Tabernacle coverings were animal derivatives. Recall also that the blue threads used to embroider the white linen tapestry and priestly garments was also made from a sea mollusk. 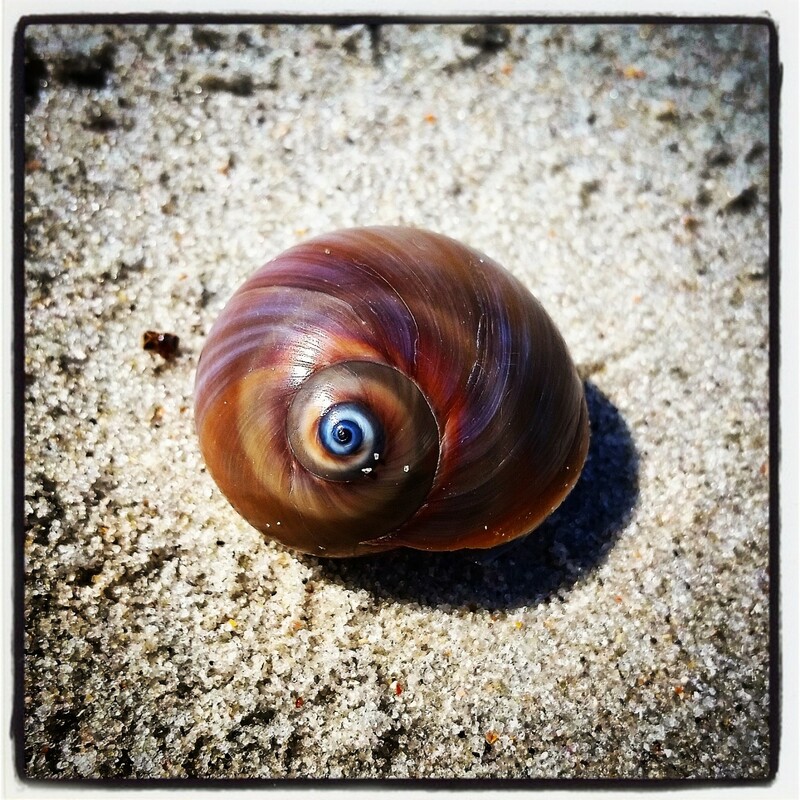 It is interesting that the Hebrew word for blue, as it referred to mollusk and the colors of the Tabernacle threads, is tᵉkêleth (תְּכֵלֶת) and the Hebrew word for Onycha is very similar shᵉchêleth (שְׁחֵלֶת). Apart from their first letter, both words are identical. The process involves drying the membrane and grinding it into a fine powder. This could possibly be connected with what Christ's work on the cross accomplished for us in terms of defeating our enemies and His. The Psalmist prophetically, using sea themes, writes of a coming one who will accomplish just that. I cast them out like dirt in the streets. The New Testament fulfillment is illustrated for us in Paul's letter to the Colossians concerning those very enemies who are not flesh and blood. 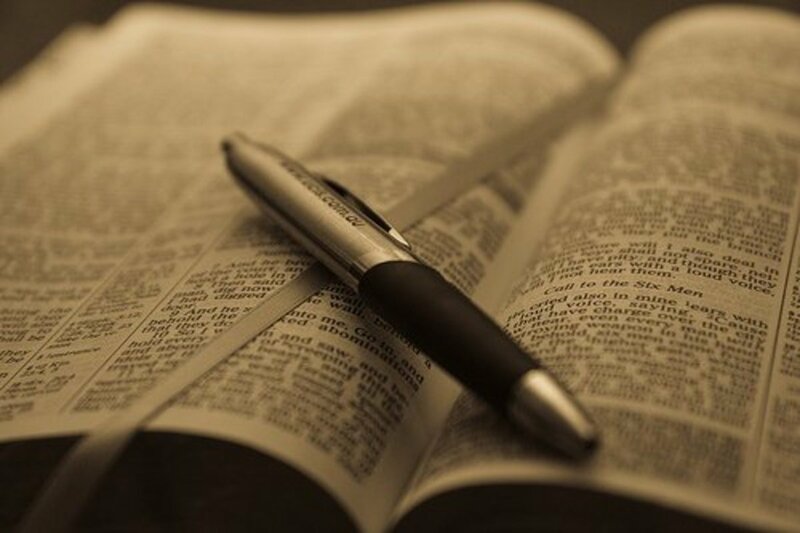 Galbanum only occurs once in Scripture making it difficult to trace its deeper meaning so we will connect it with what we can as it concerns its qualities. This particular spice is an aromatic gum resin that is obtained from the roots of the Galbanum plant. Much like the myrrh and frankincense, the galbanum forms resin drops that are called tears and as with them all of the ingredients, they were "beaten small". The Hebrew word for galbanum is חֵלֶב "chêleb" and is rooted in the word for fat or the best and choicest part which belonged to the Lord and forbidden for human consumption. The video teaching above relates this to offering our excess to God in order to complete His mission and ministry on earth and not to be lazy and gluttonous in excess. Christ fulfilled this when He stripped Himself of His heavenly privileges to become one of us. This was in contrast to the fleshly example given by the scribes and Pharisees. Their excesses were listed along with eight total "woes" in Matthew chapter 23 all of which included self-fattening, self-exalting, and prideful agendas. Frankincense, like myrrh, was one of the three gifts given to Jesus by the wise men from the east. It also shares a similar type of processing. Frankincense is tapped by striping the branch or bark thereby releasing the sap. 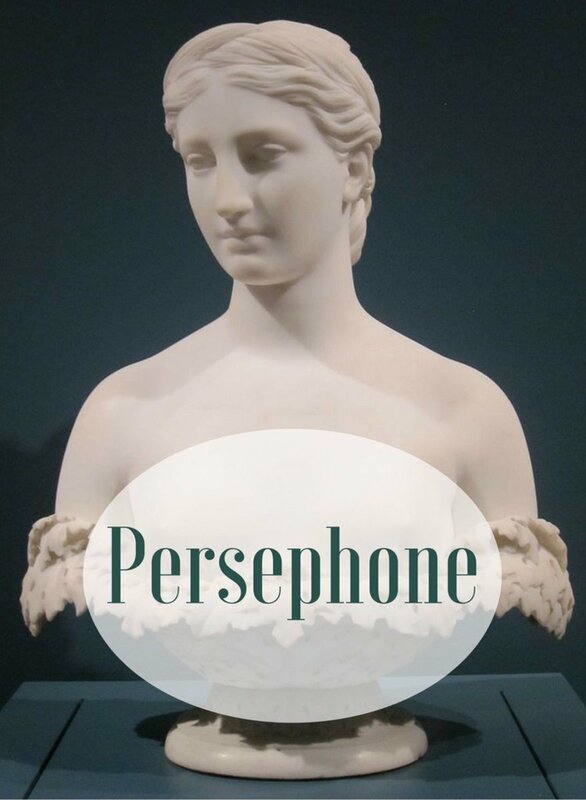 The hardened resin is referred to as tears, as are all of the resin-based ingredients, and the writer of Hebrews gives us the fulfillment of Christ concerning this as well as its connection with prayer. So also Christ did not glorify Himself to become High Priest...who, in the days of His flesh, when He had offered up prayers and supplications, with vehement cries and tears to Him who was able to save Him from death, and was heard because of His godly fear, though He was a Son, yet He learned obedience by the things which He suffered. 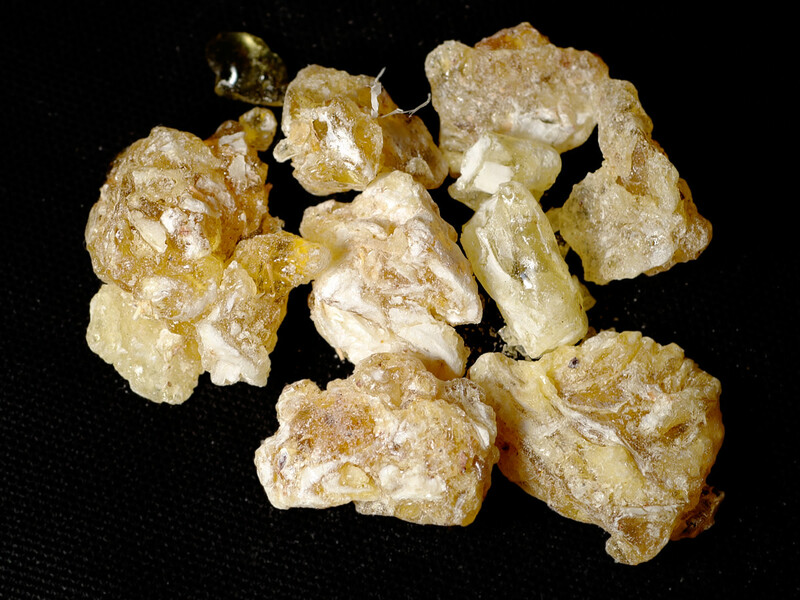 The Hebrew word for Frankincense is "levonah" and means white which speaks of purity. The altar of incense was located just before the entrance of the Holy of Holies where God's presence resided. 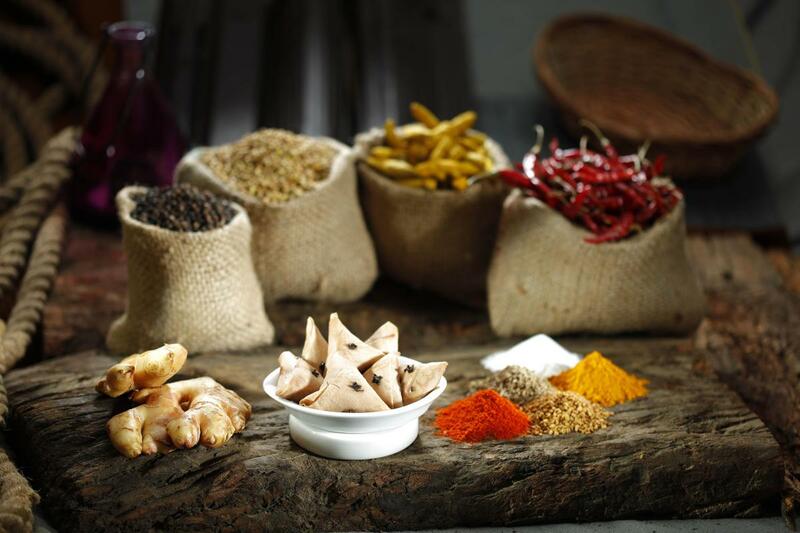 The list of spices concluded with the requirement that the ingredients were to be salted, pure and holy. All of these together are related in theme. First, let's look at salt. 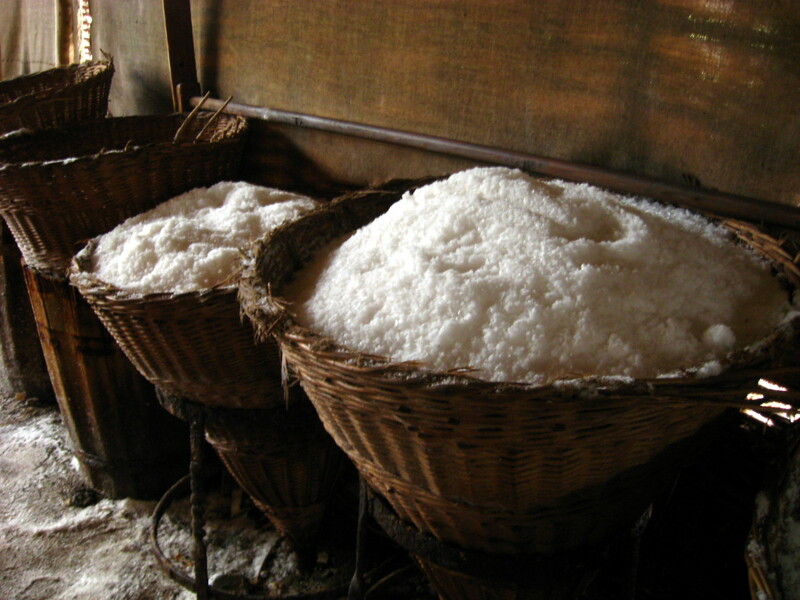 From a practical perspective, salt may have been for preservative purposes as it is a well-known antimicrobial. Salt was a required ingredient with all the blood sacrifices symbolizing eternal covenant concepts that included the remembrance of judgment. The Dead Sea or Salt Sea is an example of the connection between salt and judgment. God cleanses the filthiness of Sodom and Gomorrah in a salty fiery judgment that can still be seen and remembered to this day. Jesus cautions those who claim to be one of His covenant ones to live faithfully to Him with that very recollection in mind. Remember Lot’s wife (who turned to salt along with the environment she looked longingly back to) . Whoever seeks to save his life will lose it, and whoever loses his life will preserve it. All but one of the spice offerings were plant-based and all offered a hint at a type of judgment on our behalf to ratify a new eternal (salted) covenant. Salt has an eternal quality to it. even if you dissolve it in liquid it recrystallizes when the water is evaporated. Salt also enhances aromas by absorbing moisture from the substances they are mixed with, thereby, releasing and lifting odors that are otherwise trapped in them. These plant-based salted aromas might give us a glimpse of God's covenant fulfillment by causing our hearts and minds to recall a botanical place where the eternal and the natural physical realm met in Eden. The third instructive characteristic is that it was to be Holy. These combined spices were to have no other purpose than to be made or used in anything other than in the Tabernacle service at the Altar of Incense as was discussed earlier. I will wrap up this section with a quote from Samuel Ridout that ties together the combined principles set forth concerning Christ's fulfillment of these images and definitions. "But all was blended together in the power of the Spirit, so that the result was a "perfume, a confection," absolutely sweet and delightful to the infinite God, and tempered together according to the "salt" of the eternal covenant (Lev.2:13), which sets forth the perpetual character of Him of whom all speaks, and the eternal nature of that praise of which He is the theme." 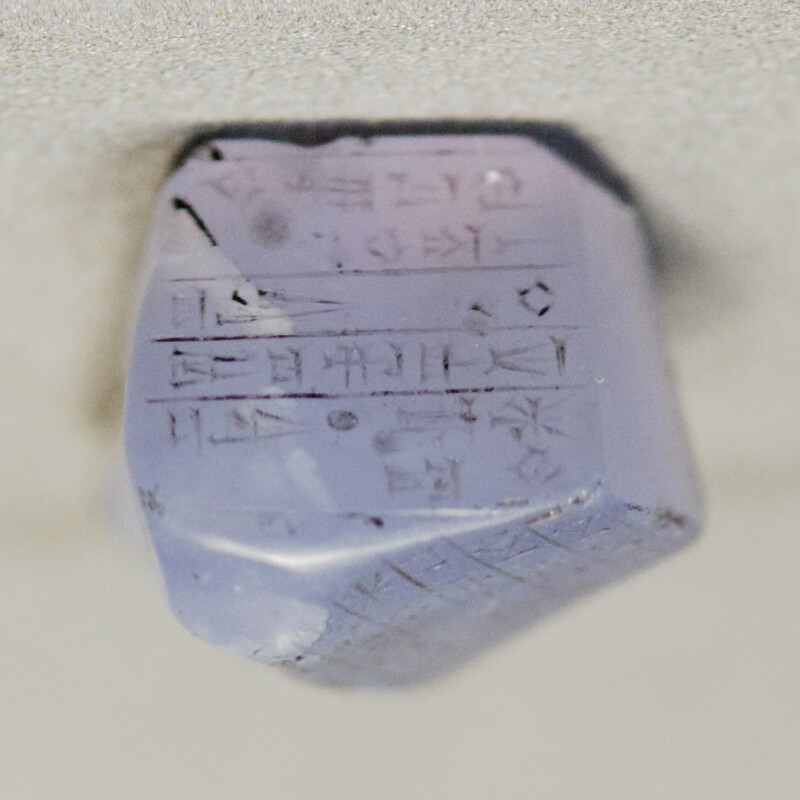 This particular stone is, interestingly, the only one of two precious stones mentioned in the creation account which, like the botanicals, takes us back to the garden experience. It is connected with the land of Havilah where there was also gold and where the first of four rivers were located. As is mentioned in Exodus 25, the founding chapter of our topic, the onyx was also used on the shoulder pieces of the High Priestly garment and engraved upon them were the names of the twelve tribes of Israel. 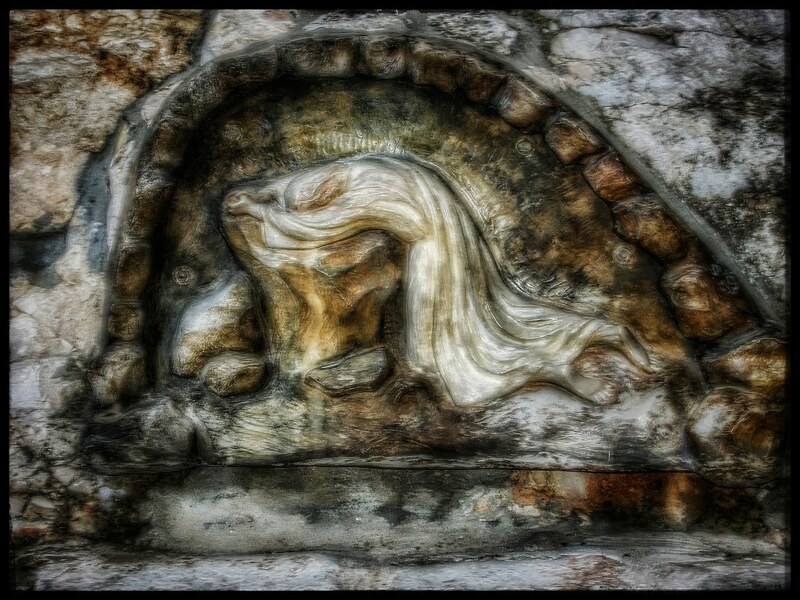 This stone was also one of the twelve stones on the High Priests breastplate that was worn over his heart. An alternative definition of the Hebrew word translated "onyx" is Chalcedony. I only make note of this because we tend to think of onyx as a black stone where alternatively pure chalcedony is white. This becomes important when we make the connection with another white stone in Scripture. Just like the twelve tribes inscribed on the shoulder stones of the High Priest, so the overcomer's name will be inscribed on a white stone. Christ overcame for us that we might overcome in the face of tribulation. Taken together, the final items listed in Exodus 25 show us the incorruptible humanity of Christ in the Shittim wood. He was anointed with the Holy Spirit and appointed to suffer for our sakes as was displayed in the anointing oil ingredients. Against the Lord and against His Christ (anointed). The incense ingredients contained a different set of spices that also spoke of Christs suffering on our behalf in order to secure our salvation. Altogether they represent the prayers of intercession and praise that are born from the foundation of that salvation. They were a sweet aroma to the Lord. ...He shall see the labor of His soul,and be satisfied. And the final item, the onyx/chalcedony stone, we discovered how Christ overcame in order to make us overcomers. We conclude with the final list and account of the people's obedience to willingly offer all that God had asked. Then everyone came whose heart was stirred, and everyone whose spirit was willing, and they brought the Lord’s offering for the work of the tabernacle of meeting, for all its service, and for the holy garments. They came, both men and women, as many as had a willing heart, and brought earrings and nose rings, rings and necklaces, all jewelry of gold, that is, every man who made an offering of gold to the Lord. And every man, with whom was found blue, purple, and scarlet thread, fine linen, and goats’ hair, red skins of rams, and badger skins, brought them. Everyone who offered an offering of silver or bronze brought the Lord’s offering. And everyone with whom was found acacia wood for any work of the service, brought it. All the women who were gifted artisans spun yarn with their hands, and brought what they had spun, of blue, purple, and scarlet, and fine linen. And all the women whose hearts stirred with wisdom spun yarn of goats’ hair. The rulers brought onyx stones, and the stones to be set in the ephod and in the breastplate, and spices and oil for the light, for the anointing oil, and for the sweet incense. The children of Israel brought a freewill offering to the Lord, all the men and women whose hearts were willing to bring material for all kinds of work which the Lord, by the hand of Moses, had commanded to be done. In the ninth part of this series, we will follow the pattern of disclosure as it is given in Scripture and take a look at the very first furnishing mentioned that being the Ark of the Covenant. I have been away for a bit and just saw the comments. I'm so very sorry for the late reply! Amen that God has left nothing undone every jot and tittle is covered. Guess I must have missed this one somehow. the details simply amaze me. God left nothing out so we might know Him wholly. 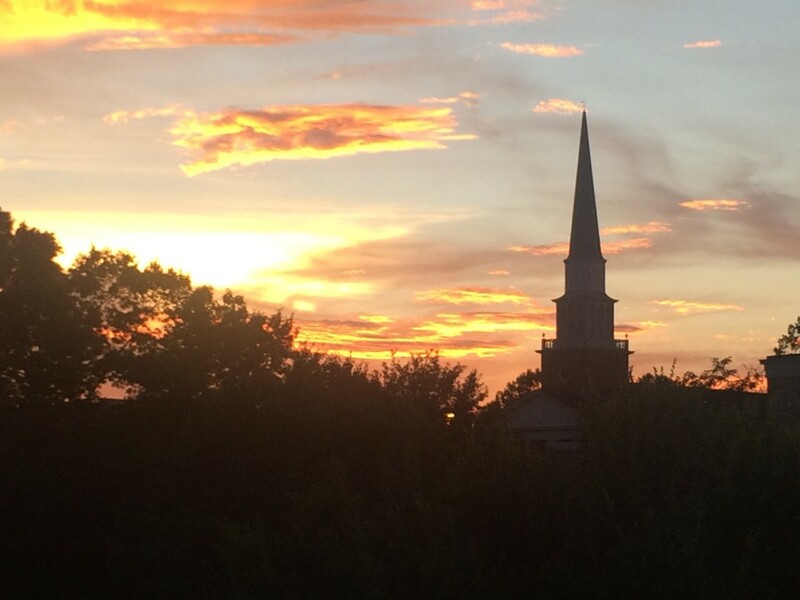 We truly serve an awesome God. Thanks, Tammy. Hi Kathi, I learned a lot myself in doing this study about how powerful fragrance is and why these were used in connection with worship. I very much appreciate you stopping by and for your comment. Wow, very informative and indepth, will have to refer back. I have an essential oil formula with Frankincense and Myhrr in it that I love. They are both very healing even has known to cure some cancers. It's nice learning about their origins and biblical references. Thanks for sharing! Hi Dora, it is amazing that God left nothing undone. Every one of His instructions are rich with application and meaning. It is all in the details. I'm learning much myself in studying these things. I'm am glad you stopped by and always appreciate your comments. Informative, interesting in-depth study of the fragrant spices used in the oil for anointing. I know that I have to re-read and really study the meaningful messages you have shared here. Thank you.